A 5 hour return walk with Felix on our backs. After last year’s need to see something beautiful after 2009’s dreaded breast cancer treatment of surgeries, chemotherapy and illness we returned to NZ for more walking – this time with a much heavier son. 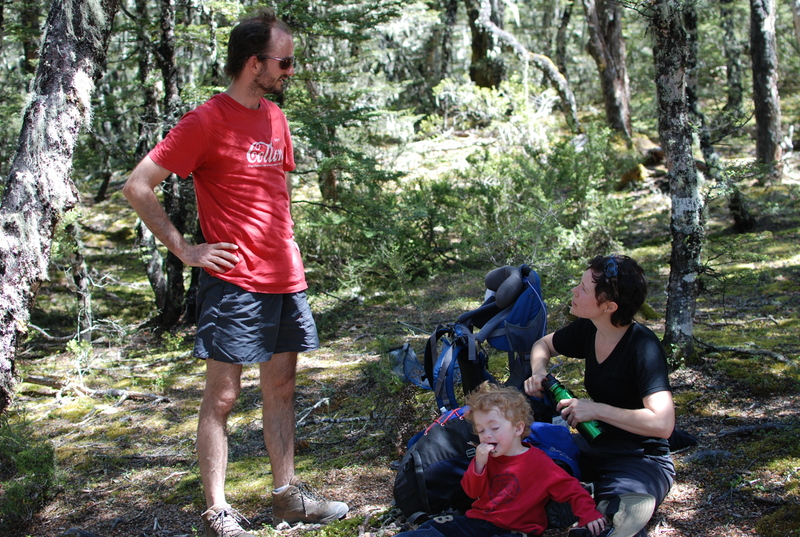 We were joined by friends Annie, Lufe and their son Martin. So in two campervans we went all around the top end of the South Island camping, walking and eating.